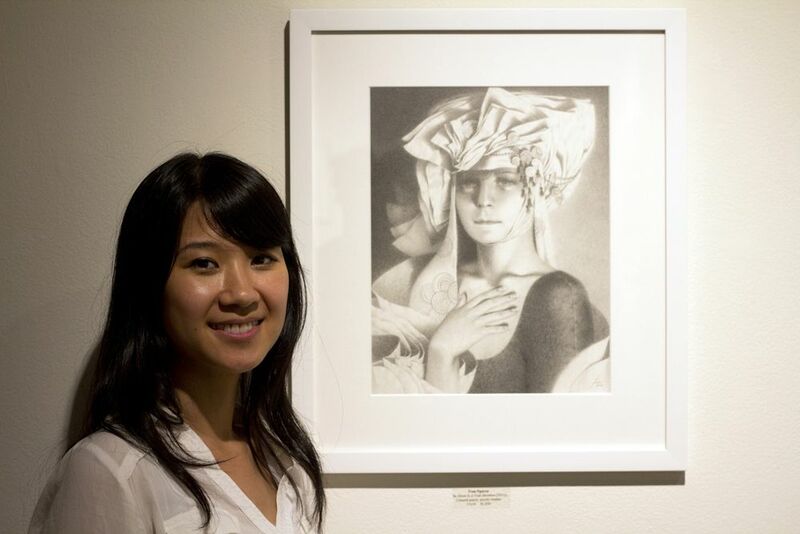 This past weekend, Thinkspace Gallery presented Tran Nguyen’s solo show titled The Synapse Between Here and There. The work on display showed a great mix of her work which included traditional paintings, detailed drawings and sketches. From wall to wall, the Georgia-based artist showed her sensibilities to create paintings which mixed a sense of realism with an aura of fantasy. Mostly created with color pencils, graphite and acrylic paint, the art showcases her talents in a very distinct way with the subject matter focusing on the subconscious and on the dream-like qualities within it. Categories: Low Brow & Pop Surrealism, Openings, Shows & Events. Tags: Los Angeles, Low Brow & Pop Surrealism, Shows & Events, Tran Nguyen.